WE ARE HIRING RIGHT NOW! 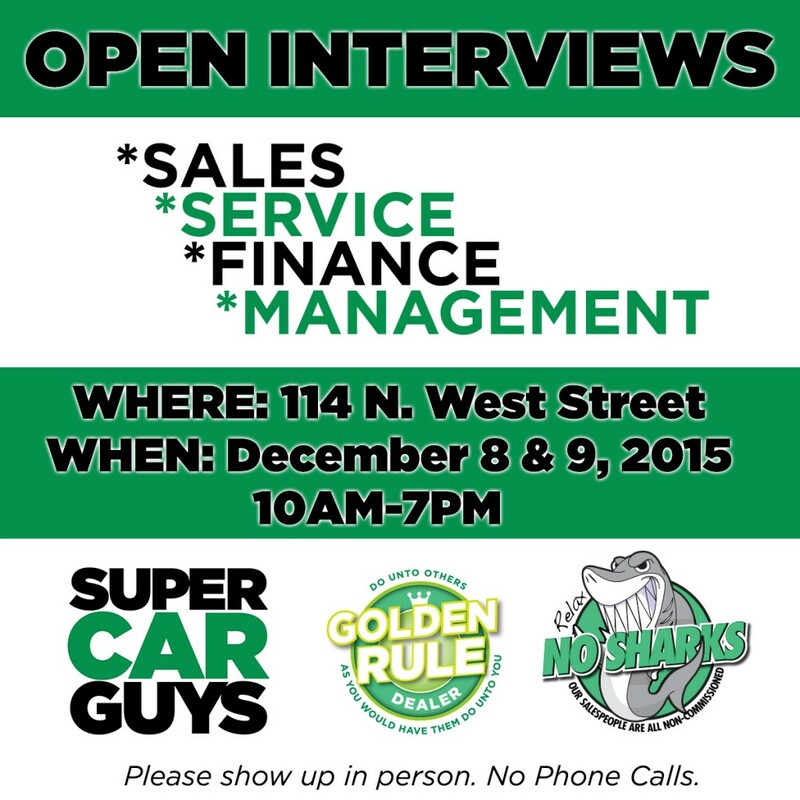 Super Car Guys has openings in sales, service, finance, and management, and we are ready to speak with you TODAY and TOMORROW. For detailed descriptions of positions, click here and here. Please arrive in person–no phone calls. Bring your resume and brightest smile and SHARE this post! 0 comment(s) so far on WE ARE HIRING!